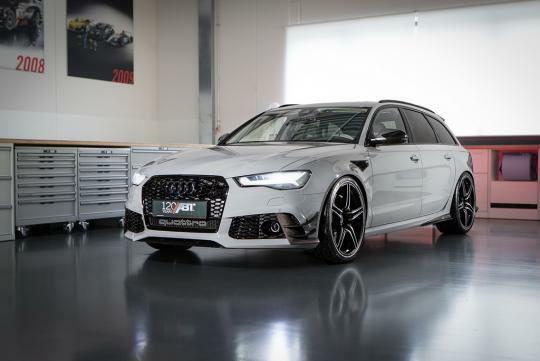 ABT Sportsline will be celebrating the company's 120th anniversary by giving the Audi's RS6 172bhp more than the stock output. Called the ABT RS6, the souped-up RS6 will be debuting in Switzerland an will produce a stunning 724bhp and 920Nm of torque. With this amount of power, the car will be able to top 320km/h easily. Only 12 units will be available and the car will come with 22-inch ABT FR wheels, wrapped in 295/25 Dunlop performance tires. Expect more details to come when the 2016 Geneva Motor Show nears. Wow. I wonder how much the rims alone would cost here in SG.